This TV stand is stylish, freestanding and is suitable for both TVs and monitors. It is ideal for use in primary schools, secondary schools and colleges for displaying educational media, such as videos and presentations. 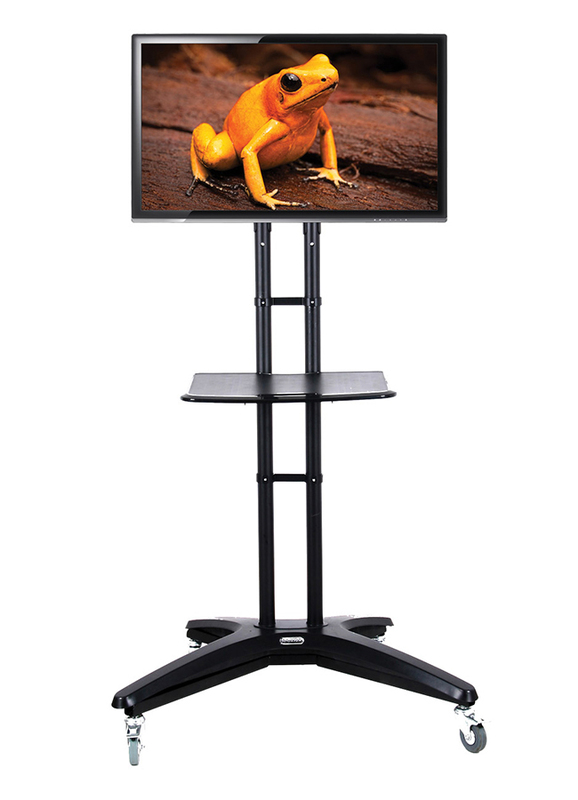 The Portable School TV Stand features heavy duty, easy glide castors which make it highly portable and easy to manoeuvre. 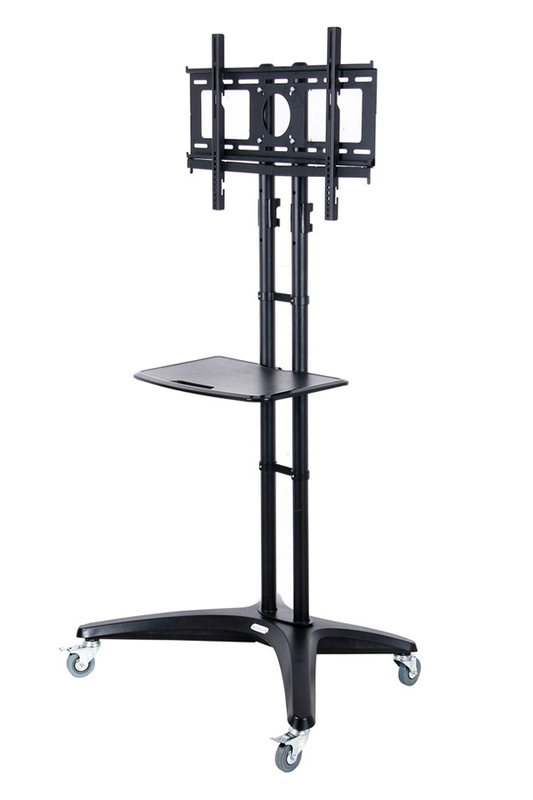 This allows you to easily move the stand between classrooms and store away when not in use. 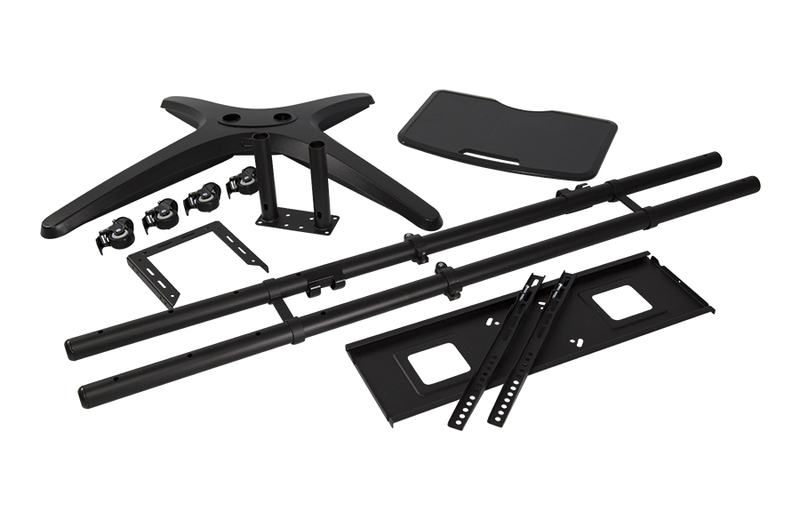 The stand supports LCD and LED screens between 32” and 55” or weights of up to 40kg. A height adjustable shelf is also included which is suitable for holding a keyboard, laptop or other accessories and has a load bearing weight of 5kg when evenly spread. The portable school TV stand features an integrated cable management system which helps to keep your classroom looking tidy. View our full range of Mobile TV Stands and Computer Trolleys. Dispatched same day when ordered before 2pm. Please note: for this product, delivery is free to most areas of mainland UK. Please check our delivery page for postcode exceptions where a delivery cost may be charged.